In addition to the above causes, receding gums may also be the result of a pre-existing oral health issue. At Austin Dental Spa, our dentists can check the health of your gums during a routine dental exam. In most cases, gum recession can be easily treated or corrected, preventing more serious dental problems from developing in the future. Our innovative Pinhole Surgical Technique™ (PST™) can rejuvenate the gums without the use of grafting. While traditional methods of gum recession treatment required tissue removal, grafting, and sutures, PST™ is a minimally invasive treatment that is virtually painless and has little to no associated downtime. 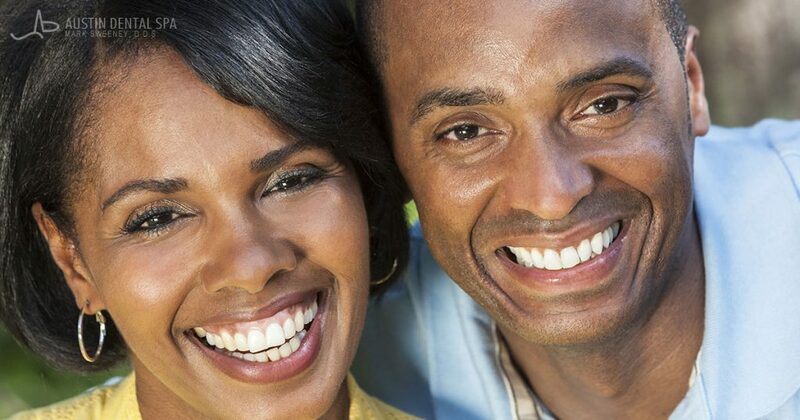 To learn more about receding gums and gum recession treatment, please contact us today. Many people may not be aware that their oral health plays a major role in their overall health. At Austin Dental Spa, our dentists are committed to helping patients not only achieve a beautiful smile, but also learn about how they can protect their oral health. 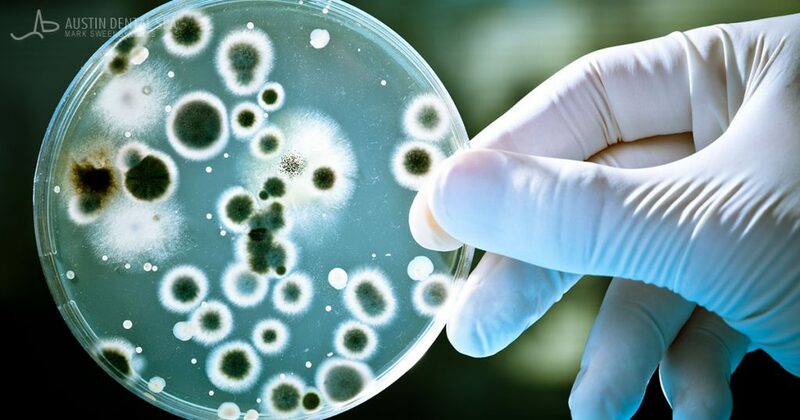 Although many patients may be familiar with the oral problems associated with gum disease, ongoing research is revealing how bacteria in the mouth may be influencing systemic health. 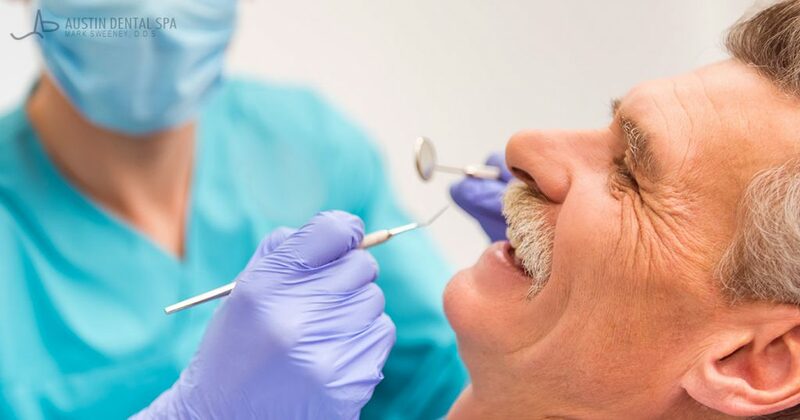 Most recently, the American Association for Cancer Research presented findings that certain bacteria in the mouth may be connected to a higher risk of developing pancreatic cancer. This was determined after the National Cancer Institute and the American Cancer Society studied several years of oral-wash samples and found that two of the oral bacteria were more prevalent in the patients with pancreatic cancer. In fact, those with one or both of these bacteria had 50% or higher risk of developing the disease. This increased risk is still being investigated, but if a direct link is confirmed, saliva tests taken by dentists may become a more prevalent detection method for pancreatic cancer. Our team is proud to already have the saliva test available, which can identify over 13 types of bacteria that are commonly found in gum disease. To learn how to maintain optimal oral health, please contact us to schedule your next appointment. Problems with the temporomandibular joint, or TMJ Disorder, may develop for a number of reasons, particularly if your jaw joints are damaged, inflamed, imbalanced, or are experiencing excessive amounts of pressure. This can cause a variety of debilitating symptoms, including headaches, jaw popping, dizziness, and pain in multiple body areas. If left untreated, TMJ Disorder may develop into more severe health issues and interfere with many aspects of your life. Fortunately, at Austin Dental Spa, we are specially trained to relieve your TMJ Disorder symptoms with the TruDenta® system. There are many benefits associated with using TruDenta®. Each pain-free treatment lasts only 50 minutes and does not involve surgery, medication, or needles. Your treatment is also customized for your specific needs. One of our experienced dentists will perform a diagnostic analysis utilizing TruDenta®’s advanced tools. He will thoroughly examine your mouth, neck, and head, and then design a treatment plan that can address the causes of your symptoms. The TruDenta® program uses therapeutic treatment techniques from the fields of prosthodontics and sports medicine to improve TMJ conditions without the need for invasive procedures. 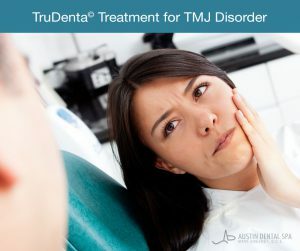 TruDenta® is one of the most innovative treatment options for TMJ Disorder available, and we are proud to offer this option to our patients here at Austin Dental Spa! If you believe you may have TMJ Disorder and would like to be tested, please contact our practice today. 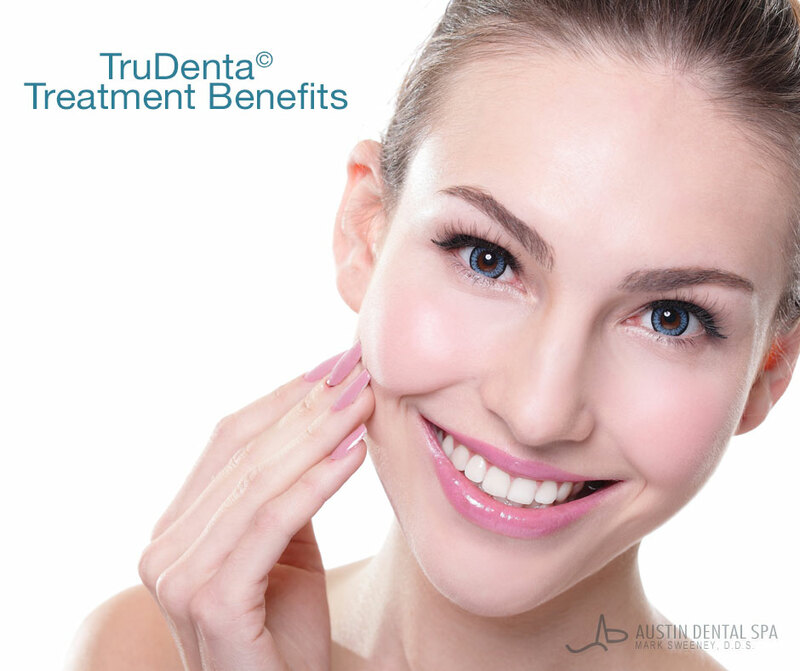 Our dentists can examine you and determine if you may be a candidate for TruDenta®. Many people who suffer from migraines and headaches are unaware these symptoms could be the result of TMJ Disorder (or TMD). The temporomandibular joint connects the jawbone to the base of the skull and affects many of your body’s nerves. An unbalanced or damaged TMJ can lead to headaches, facial pain, and other problems with your head, neck and jaw. Please call us at (512) 380-1300 or email our office today if you would like to learn more about how the TruDenta® system can treat your TMJ Disorder symptoms.